Round 7 of the F1 World Championship treated Scuderia Ferrari and Shell Motorsport with spectacular fashion as Sebastian Vettel won the race 40 years after Ferrari legend Gilles Villeneuve won the inaugural Grand Prix at the circuit. The Ferrari victory underscored the longest running partnership in F1 history, the performance-driven technical partnership between Shell and Ferrari. It was a full weekend of customer engagement where we welcomed 115 special guests from 23 different customer groups to experience the world's premier series of motorsport first hand. Beginning Thursday morning with the unveil of the fan engagement space and continuing on all weekend until Sebastian Vettel took (both 😉) checkered flags. Racer reports the US broadcast on ABC reached 969,000 viewers complimenting completely sold out tickets Friday through Sunday counting more than 350,000 attendees through the weekend. Scroll through the interactive recap to relive the best moments from the weekend. Sebastian Vettel celebrates after securing pole for the race. He would go on to win the event, his 50th win, 40 years after Shell and Ferrari's first win in Montreal. Shell and Pennzoil opened their fan engagement space to much excitement on Thursday morning with a special visit from 4-time F1 World Champion and Ferrari driver Sebastian Vettel. Shell's Motorsport Technology Manager, Guy Lovett, also came by to provide the media insight into what goes into such an elite technical partnership between two leading brands. The team at Shell Canada did an excellent job of bringing this space together and introducing the first-ever joint activation for fuels and lubricants onsite at the Canadian Grand Prix. Fans were drawn into the space with the rare opportunity to get up close with a real Formula 1 car. With a full house throughout the entire weekend, it was clear fans were thrilled to have Shell and Ferrari back at the track for the first time in many years. It is increasingly rare and even more important for face time in today's business environment. The Canadian Grand Prix weekend did not disappoint on Saturday evening where 115 top tier customers, leaders and team members came together for dinner at an epic venue overlooking downtown Montreal. Leaders from both the Shell fuels businesses and Shell lubricants businesses started the night off with a warm welcome and introduction of the evening. 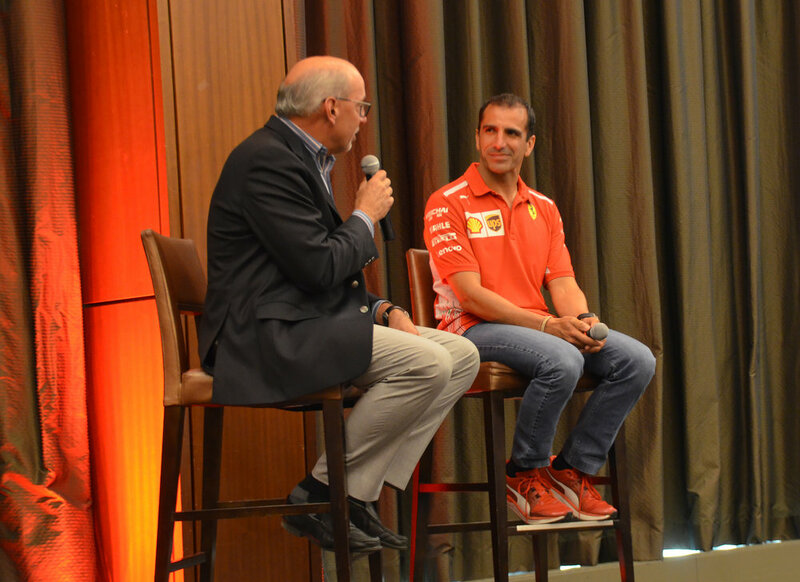 Guests were also treated to an in-depth Q&A with Ferrari development driver Marc Gené. Marc has a gift of explaining even the most technical topics in Formula 1 in a way everyone can understand and appreciate. After a delicious surf and turf dinner, guests were even more excited about heading to the circuit for race day. Carlos Maurer representing lubricants and Sydney Kimball representing fuels welcome guests to dinner Saturday evening. Andrea Brecka representing fuels for Canada and Jay Schippanoski representing lubricants for Canada share their excitement about hosting F1 in Montreal. Ron Schneider interviews Ferrari development driver, Marc Gené. Guests got a chance to learn more about the significance of the technical partnership between Shell and Ferrari. We welcomed 115 guests from 25 different customer groups and multiple different channels to come together and connect during the Canadian Grand Prix. 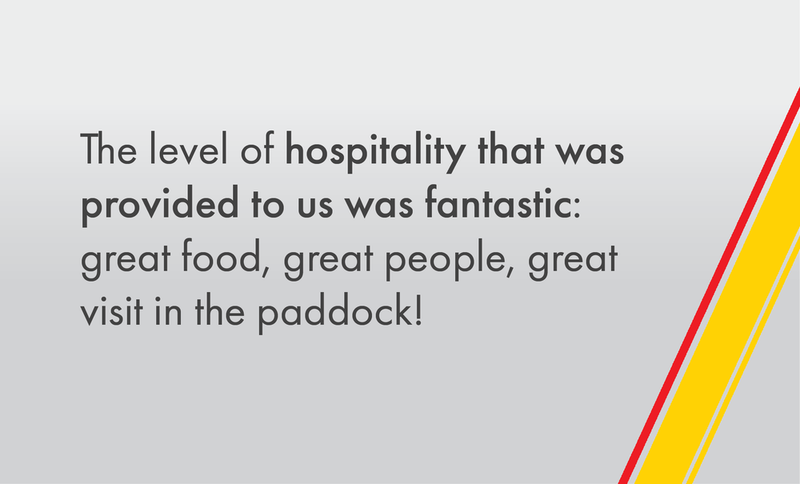 Top-tier hospitality, views and catering welcome over 100 guests at the Circuit Gilles Villeneuve throughout the weekend. Guests could relax in the shade, soak up the sun, enjoy first class food and beverage and enjoy the action from some of the best seats in the house. Friday, Saturday and Sunday, guests were offered the opportunity to join for a 30-minute tour of the F1 Paddock, Ferrari garage and Shell Track Lab. This access is extremely exclusive in Formula 1. Guests gained insight into the extreme conditions F1 teams operate under. Members of the Shell Fuel Scientist team brought guests into the Shell Track Lab and told them all about their work, which is the first half of the Track to Road story. 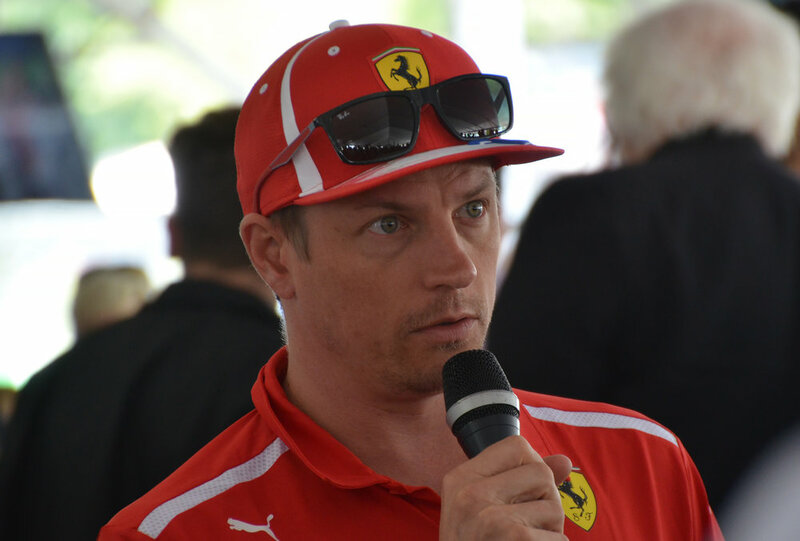 On race day, guests had a special appearance and Q&A with F1 World Champion and Scuderia Ferrari driver Kimi Räikkönen. Prior to arriving in Montreal, guests were sent branded and personalized emails letting them know of their many transportation options throughout the weekend. On Friday and Saturday, there were shuttles running every hour in the morning between the circuit and the hotel. On Sunday, guests had two morning options to arrive at the circuit and were all escorted back after in a safe manner. Select VIPs hosted in the Elite Suites were back at the Westin Hotel in 30 minutes following the race. In an effort to continually improve the guest experience, we surveyed the guests to get an understanding of how everything went during the weekend. We collected some excellent feedback and comments, summarized below. How effective do you think the Shell-Ferrari partnership is in generating incremental sales? 🏁"Two strong brands adds enormous impact and opportunity to look unique among the rest of the competition, which makes your products look elite among the rest of the competition." 🏁"We made some lifetime Shell supporters out of customers who attended." 🏁"After being a part of the event I realized more just how strong the relationship is, I personally feel Shell is getting effected huge by this in terms of sales but we are not doing enough of a job promoting the Ferrari brand within Shell. I would suggest adding some Ferrari branded gear or accessories to sites in order for them to sell items that would generate more income, and that works also as a stronger marketing strategy." How has your opinion of Shell changed as a result of this experience? 🏁"I have always felt Shell is amongst the highest respected oil companies in the world, and this event just further justified that feeling." 🏁"It gave me a good sense of belonging." 🏁"It gave me a much better understanding of the depth of things Shell does!" How can Shell take further advantage of their F1 Ferrari sponsorship in North America? 🏁"Make more noise in our station about the F1 race and organise a contest for the customers." 🏁"By doing more real life events like this one more times through the year, it doesn’t have to be a race to have presence, but just a better stronger on the ground event. Maybe have small events at motorsports events or even just on the ground at the gas stations to have a Ferrari presence and let more average people know how serious the partnership is." 🏁"Connecting events where the partnership is on display like this one, Austin and hopefully soon, Miami." For more information on these responses, or to see the full survey results, please don't hesitate to leave us your email in the box at the bottom of the page. We will get back to you soon!